We love disc golf tournaments. 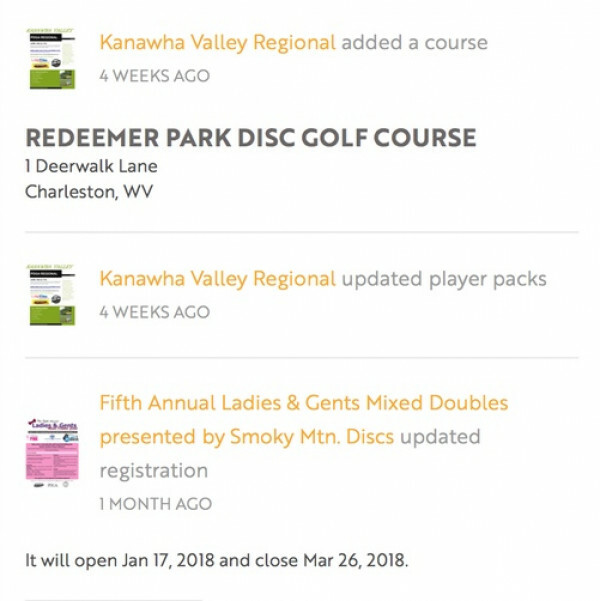 So we built dgtournaments.com, a new way to list and locate disc golf tournaments. Hi, I'm Phil Mareu (on the left), the creator of dgtournaments.com (DG Tournaments). DG Tournaments is a shiny new project built from the ground up just for disc golf tournaments. This project is a modern platform for searching and managing disc golf tournaments. New features are introduced every month so follow us on social media or check out our blog for periodic updates. Our newsletter is also a great way to stay informed. This page will show recent activities and notifications relating to tournaments you follow and your notifications settings.